One of the most important decisions a person will make is to obtain a mortgage. With so many choices and decisions to make throughout the process, the right advice can have a considerable financial impact. It is best to be prepared by seeking a pre-approved mortgage before shopping for a home. This allows the borrower to establish a limit on the purchase. By knowing what amount the borrower is pre-approved for will help narrow down the home in the search. There are hundreds of lenders within Canada that will assist the borrower in the pre-approval process as well as help lock in the best rates possible. Our Canadian mortgage calculator estimates your monthly payments. 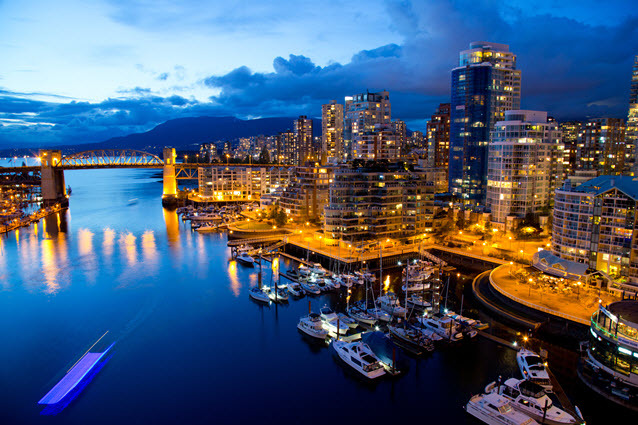 A national Canadian mortgage brokerage that loans home loans to clients in all territories and provinces is CanEquity. CanEquity can access over 75 major lenders across Canada. Doing this gives CanEquity Mortgage the ability to shop around the mortgage market and even offers the client the best possible mortgage options, service, and rates. They also specialize in mortgage renewals, no money down home loans, and debt consolidation. Most of the mortgage services that are offered by CanEquity are completely free and may save the borrower thousands of dollars in high interest and monthly payments. A conventional mortgage requires a down payment of no less than 20% and is offered on either a variable or fixed interest rate basis. The conventional mortgage has the lowest carrying costs since they do not have to be insured. Many lenders are now offering insured mortgages for both resale and new homes with down payment requirements that are lower than conventional mortgages. These can be as low as 5%. These low-down payment mortgages have to be insured in order to cover the possibility of default of payment. As a result, the carrying costs are greater than a conventional mortgage because of the inclusion of an insurance premium. As the borrower shops for a mortgage, there are several types to consider. There are also factors such as how long the borrower intends on living in the home and interest rates should be considered when deciding upon a conventional, open, or closed mortgage. Closed mortgages tend to be the better choice for those buyers who are not making plans to move in the short-term but stay in the same residence for an extended amount of time. This type of mortgage is often considered to be the best for those buying homes for the first time because of the security of knowing the exact amount of mortgage payments over a set time period. Closed mortgages are usually available in terms that range from 6 months to 25 years. The borrower must pay breakage costs to the lender to pay off the balance or renegotiate the interest before the end of the term. Open mortgages can be repaid in full or in part at any time without having to pay breakage costs. This may be a good option if the borrower is planning to move in the near future. These interest rates tend to be higher because of the flexibility. A convertible mortgage gives the same security as a closed mortgage but it cannot be converted to a closed mortgage without a penalty. If the borrower believes that rates will drop, then this allows the borrower to wait until they feel the time is right to lock in the desired rate. A fixed rate mortgage’s interest rate is locked in for the entire term of the mortgage. Payments are set for the term in advance, so this provides the borrower with the security of knowing exactly how much payments will be throughout the whole term. These mortgages can be open without breakage costs at pay off or closed with breakage costs being assessed if paid off before maturity of the loan. A borrower can make the most out of their low mortgage rates if they acquire a fixed mortgage. Payments will not increase even if the prime rate does. The borrower can choose from a number of terms and has the option to pay a portion of the mortgage in advance. The borrower can also increase the payments during each mortgage year, which will allow for faster payoff of the loan. Variable mortgage rate payments are set for the term even if interest rates fluctuate during that time. If the interest rates decrease, more of the payment goes toward the principal. If the rates go up, more of the payment goes toward the interest. These mortgages can be open or closed. The variable rate mortgage provides the borrower with the ability to take advantage of the falling interest rates and to switch to a fixed rate mortgage whenever they feel they can. Employers name, phone, and address. The social Insurance number of co-applicants, employer information, and date of birth. All monthly income including pensions, salary, investments, rental income, and alimony. All monthly expenses including mortgage payments, rent, alimony, etc. All assets including term deposits, Registered Retirement Savings Plan, real estate, vehicles, bank account balances. All liabilities such as car payments, lease payments, loans, and credit cards.